You are going to Watch Naruto Shippuden Episode 374 English subbed online free episodes with HQ / high quality. Stream Anime Naruto Shippuden Episode 374 Online English sub The New Three-Way Deadlock. 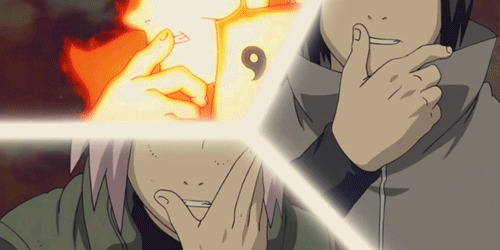 Naruto and Sasuke work together to land a massive attack on the Ten-Tails, while Sakura uses Katsuyu to heal the injured members of the alliance. Meanwhile, Orochimaru, Suigetsu, and Karin arrive at the battlefield where Madara fought the five Kage and work to heal Tsunade.